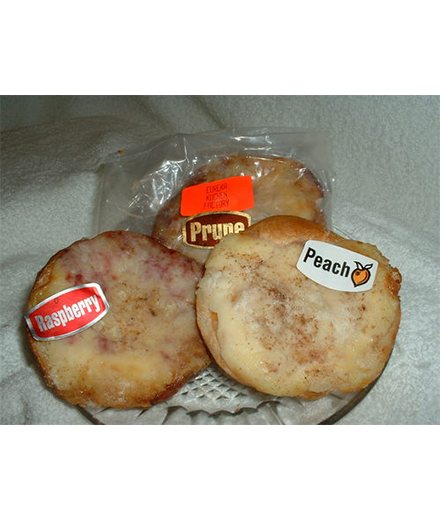 Product Description:Kuchen is South Dakota's official state desert. It is a raised dough with a cream based filling with a variety of different kinds of fruits added to the filling. Just one will have you wanting more. This item will include one variety of our currently available options. 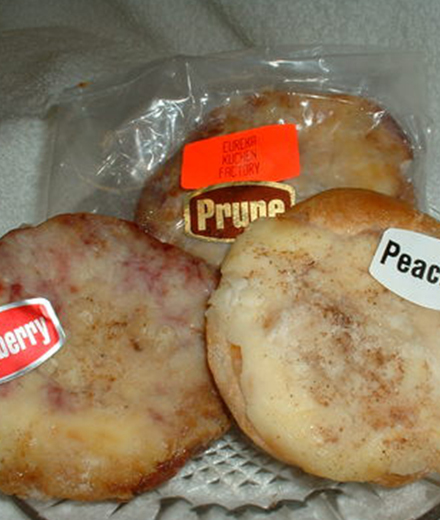 Kuchen is South Dakota's official state desert. It is a raised dough with a cream based filling with a variety of different kinds of fruits added to the filling. These are 5" in Diameter, just the right size for an individual serving. Just one will have you wanting more. Note: your order will include 1 5" in diameter kuchen. Add to the quantity to order more than one variety.